Leonardo da Vinci’s “Salvator Mundi” depicts a half-length figure of Christ with one hand raised in blessing and the other holding an orb. MANHATTAN (CN) – The Second Circuit signed off Monday on a discovery order that will help global litigation involving an art broker accused of price gouging 38 paintings by such famous artists as Picasso and Van Gogh. Swiss art broker Yves Bouvier began acquiring the works in question for Russian art collector Dmitry Rybolovlev in 2003, charging a 2 percent commission on each sale. To keep the high-profile sales private, however, Bouvier had little or no contact with the actual sellers during the sales; his interests were instead represented by MEI Invest or a related company. Bouvier and Rybolovlev’s relationship soured in 2014 when The New York Times published a story about the sale of Leonardo da Vinci’s “Salvatore Mundi,” a painting of Christ whose title translates in English to Savior of the World. Though the story reported that this painting sold for anywhere from $75 million to $80 million, Rybolovlev claims he paid $127.5 million for the painting, roughly a 50 percent markup. All in all, he claims, Bouvier’s markups caused him to overpay by $1 billion on 38 total paintings over 11 years. Bouvier, who is linked to infamous high-profile forgers and also faces accusations of stealing famous paintings, was arrested in early 2015 in Monaco. Rybolovlev — whose collection includes highly valued pieces by Monet and Gaugin — lives in Monaco and filed a criminal lawsuit against Bouvier there for fraud and money laundering. He also joined similar lawsuits against Bouvier in France and Singapore, where Bouvier’s assets are now subject to a freeze by Singapore’s high court. The judge in the Singapore case ultimately stayed the litigation, howeverm leaving only the criminal lawsuits in France and Monaco active. Rybolovlev then petitioned the U.S. District Court for the Southern District of New York for discovery of documents from Sotheby’s for use in the lawsuits. 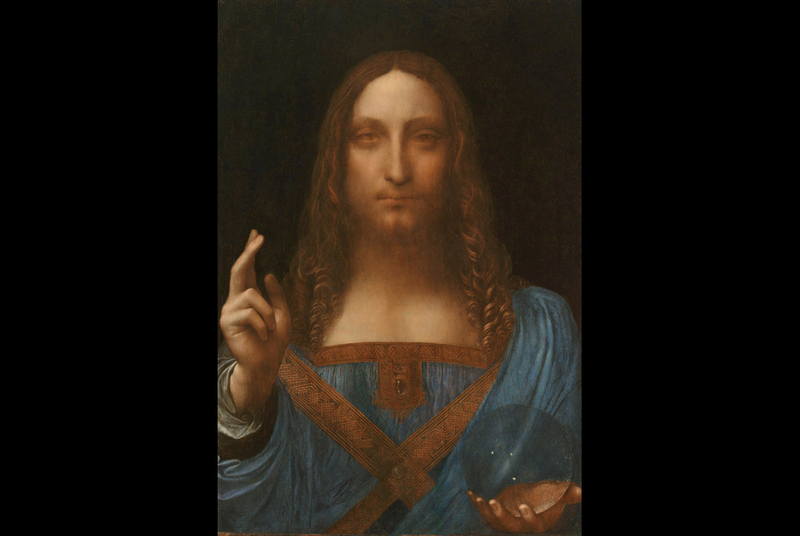 In 2016 the auction house filed suit in an effort to recoup monies from the Da Vinci art sale and also to absolve itself of any blame in the dispute. Sotheby’s, which made $3 million on the sale, argued it was owed more since the artwork ultimately was sold for $127 million instead of the $80 million listed reported to the auction house. Bouvier argued, however, that the lawsuits were duplicative and that either the Singaporean or Monegasque lawsuit would be tossed. Further, Rybolovlev should not be able to use discovery from the Monegasque lawsuit because he is not seeking damages in Monaco, Bouvier had argued. In October 2016, the District Court ruled in favor of Rybolovlev, writing that as long as the art collector could show the documents sought were used at one point, discovery should be allowed even if damages are not sought. A three-judge panel of the Second Circuit agreed Monday, noting that as long as Rybolovlev can show he has the “practical ability” to inject the requested documents into a foreign proceeding, he should be allowed to do so. “As long as he or she makes that showing, it is not fatal to the application that he or she lacks a claim or relief before the foreign tribunal, whether for damages or otherwise,” the 21-page opinion states. U.S. District Judge Lewis Kaplan, who normally presides on trial-level proceedings in Manhattan, sat on the appellate panel by designation. Writing for the court, he said that, regardless of how many lawsuits Rybolovlev has filed worldwide on this issue, he may use the discovery from the case in Monaco in the lawsuits in Singapore, France, or anywhere else. Rybolovlev’s family trust has filed the various suits through offshore companies Accent Delight International and Xitrans Finance. Bouvier’s attorney, Daniel Levy of McKool Smith, did not return an email seeking comment.